Enjoy this slide show of STORY BOARDS that give a glimpse into who Geneva is and what we hold dear. 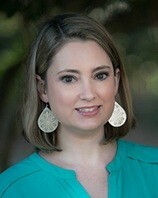 Scroll down to read the descriptions that accompany each of the STORY BOARDS. All twenty-two STORY BOARDS can be seen lining the halls of Geneva. 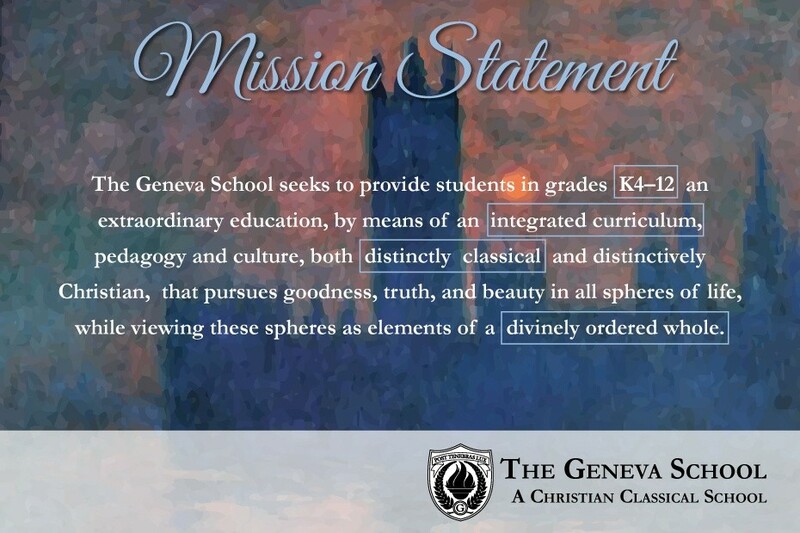 Carefully crafted to capture the fundamental elements of our approach to education, The Geneva School’s mission statement encapsulates what we seek to accomplish. 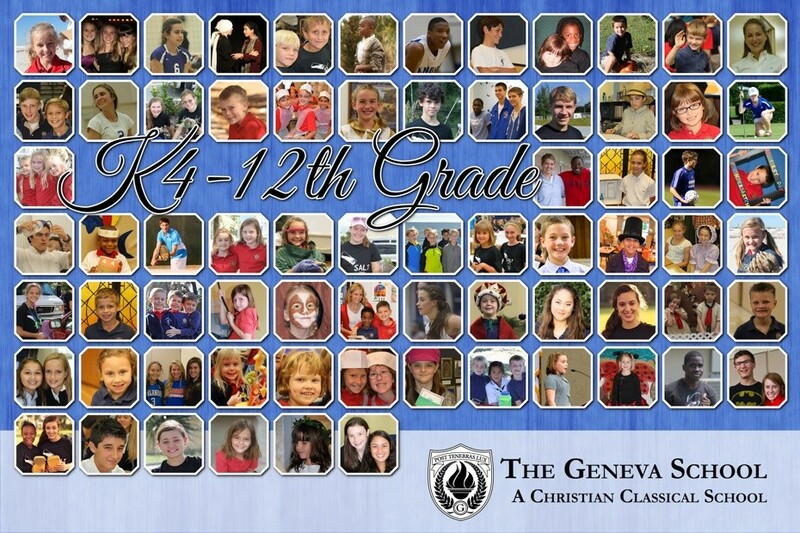 The face of Geneva is a family album of pictures that capture the robust educational experience that is at the heart of the school. From K4 through twelfth grade, our faculty and staff engage the minds, bodies, hearts, and souls of our students in order to cultivate virtuous scholars prepared for a lifetime of service in their various callings. The Trivium can be a mouthful as well as a mind full, yet this has been the primary means for teaching students for nearly a millennium. 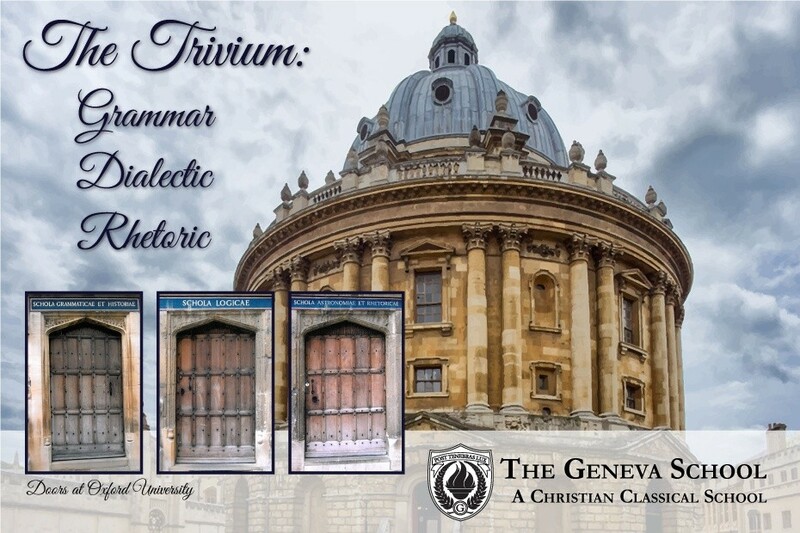 Employed by the great educational institutions of human history, such as England’s Oxford University, the Trivium is a time-tested approach that utilizes the natural stages of discovery involved in every learning endeavor. The grammar stage (at Geneva, this encompasses K4 through sixth grades) makes use of a student’s innate curiosity, inquisitiveness, and ability to absorb the basic material of a subject; it is the acquisition stage of learning where questions of who, what, and when are explored. 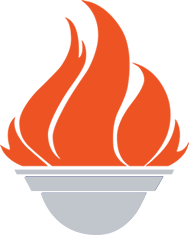 The dialectic stage (seventh and eighth grades) utilizes a student’s natural inclination to question and analyze; it is the investigative stage of learning where questions of why and how are examined closely. The rhetoric stage (ninth through twelfth grades) employs a student’s deep-seated desire to communicate his ideas clearly, succinctly, and persuasively; it is the polishing stage of the learning process and serves as the capstone of the Trivium. Our curriculum is designed to be fully integrated across subjects as well as within a particular area of exploration. Our fourth grade students, for example, experience the Middle Ages through learning Gregorian chants in music, making mosaic tiles in art, reading and performing Beowulf in English and drama, and experiencing the history of the period through competing in archery and other medieval games, enjoying feudal feasts, and experiencing how to be a virtuous knight or lady through the mentoring of eleventh and twelfth grade students. Learning comes alive at Geneva! 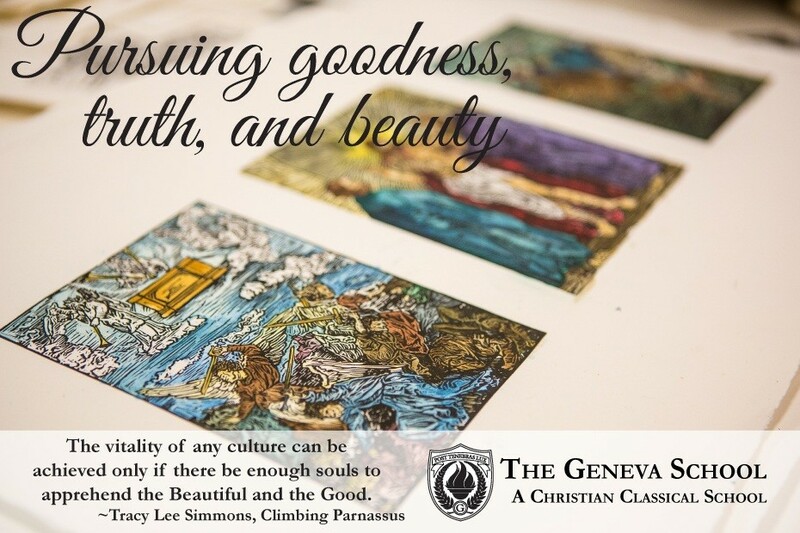 Because all truth is ultimately found in God, The Geneva School teaches its students to see the world as sovereignly ordered and sustained by God himself. There are profound implications across disciplines for this concept. In calculus it displays itself in an elegant solution to a complex mathematics problem and in biology it is evident in the intricate diversity of plant and animal life. 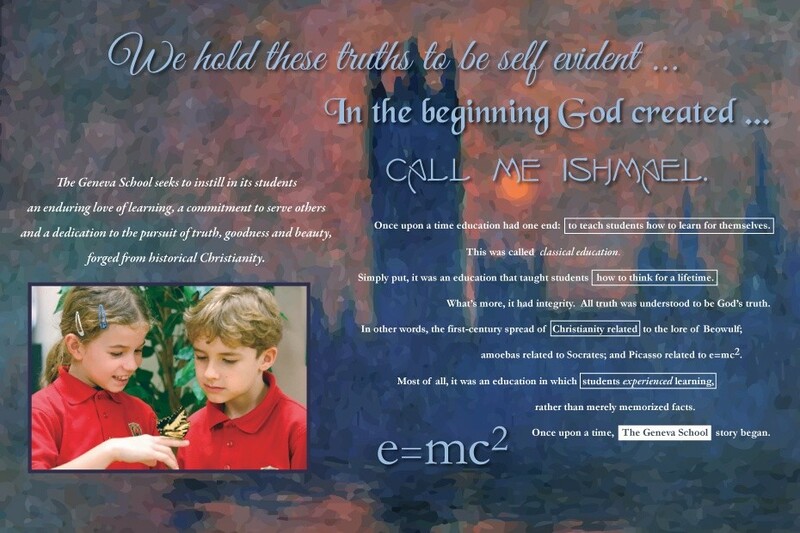 Christian classical education celebrates the coherence of all of life, understood as part of a divinely ordered whole. 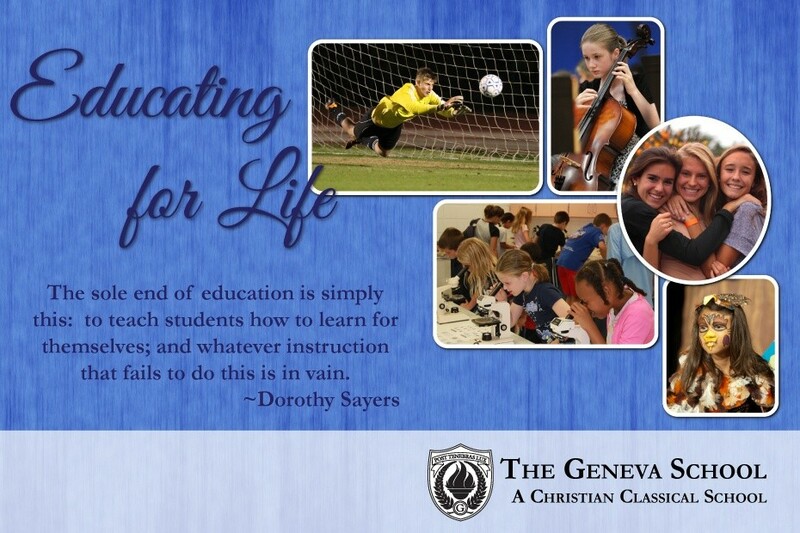 The Geneva School, rooted in the rich historical tradition of Christian classical education, utilizes the wisdom and insights from every sphere of intellectual pursuit throughout the ages to accomplish its vision. 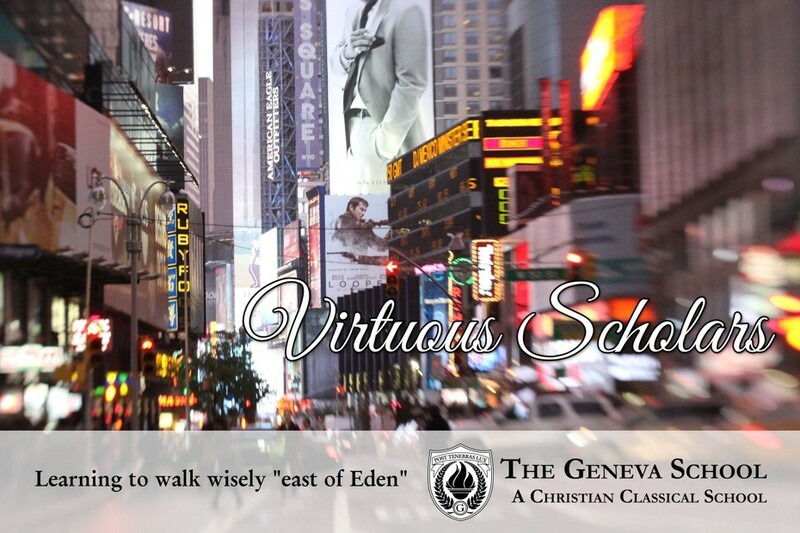 In an age of increasing pluralism, where “truth” has no anchor other than one’s personal opinion and “humanity” looks less and less human, The Geneva School strives to cultivate in young men and women the ability to think clearly with godly discernment, to love passionately with ordered affections, and to live faithfully with wisdom and virtue. 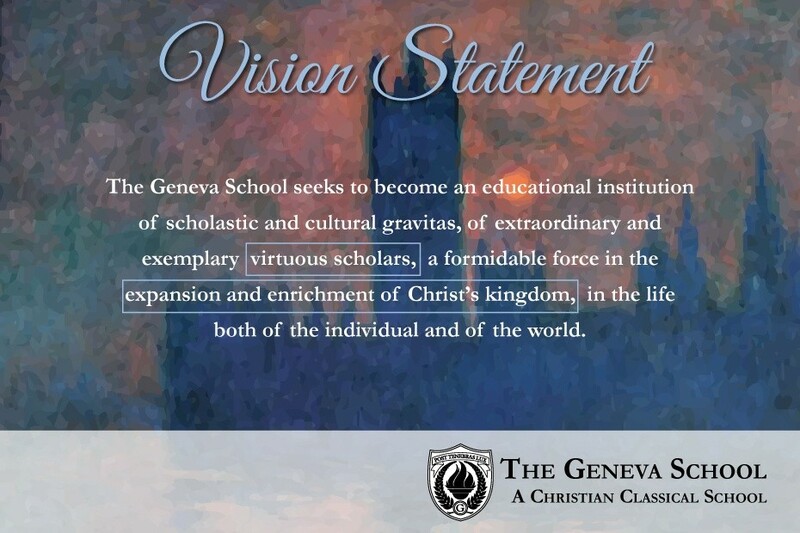 The Geneva School seeks to shape the hearts and minds of our students so that they are fully equipped to go into the world but be not of it (John 17: 15–17) so that they are equipped to engage the world boldly and winsomely for the sake of Christ and his Kingdom. Values govern our lives. 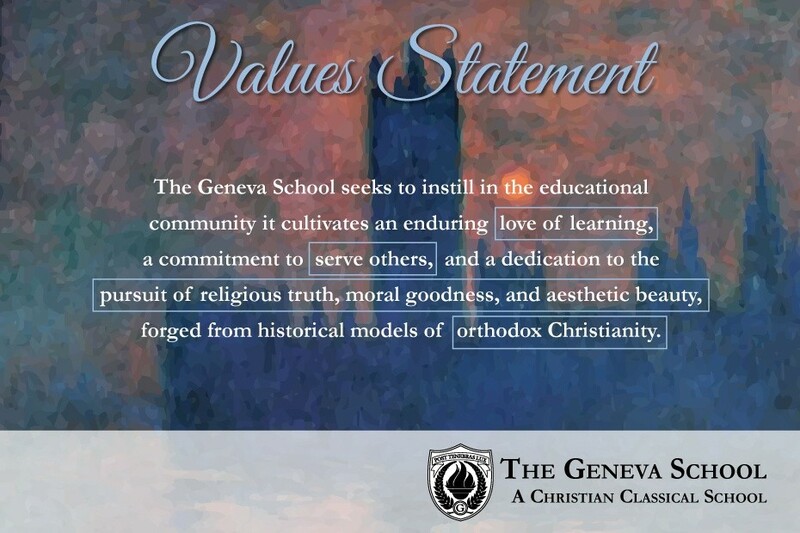 By God's grace, The Geneva School strives to be a community of faith and learning that consistently lives according to the values we hold dear. 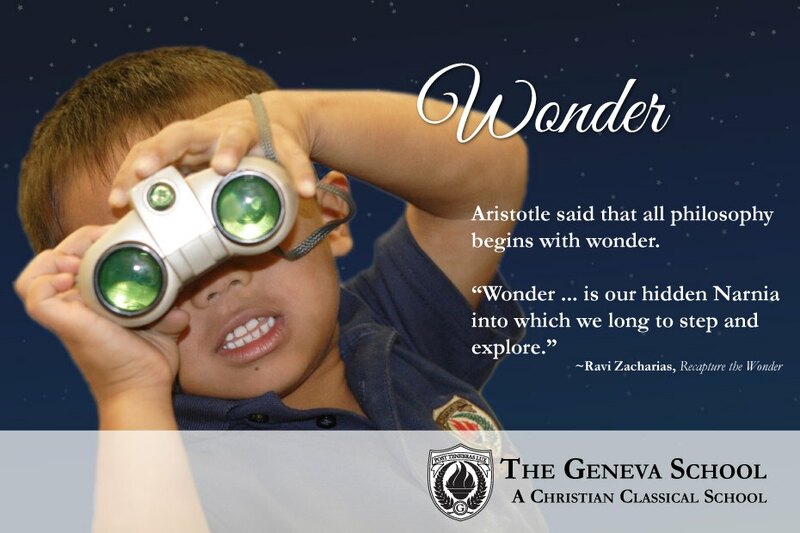 At Geneva we strive to cultivate in students a lifelong love of learning through rich, stimulating experiences of discovery as we increasingly comprehend the world in which we live and the God who created and sustains it. Thus, this kind of learning leads naturally to worship. Service comes in all manner of forms, but it is fundamentally borne out of love and devotion to God himself, expressed in humility and care for our fellow man. 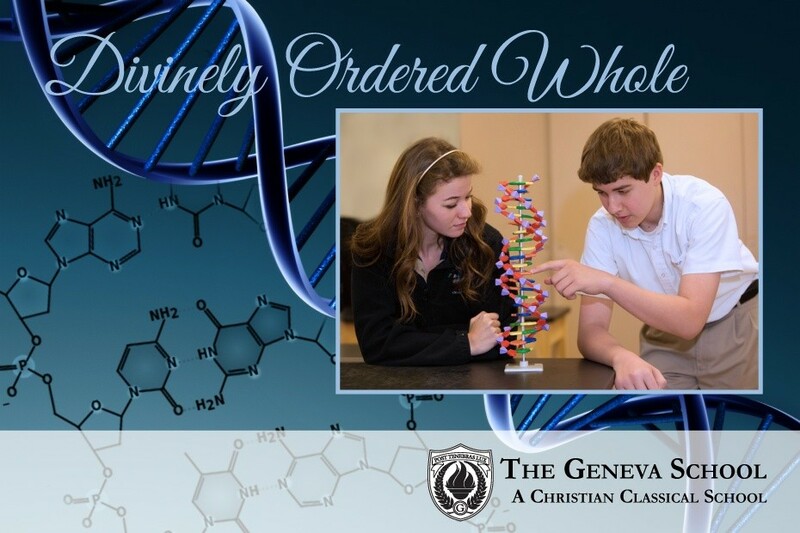 Geneva strives to foster a culture of selflessness that champions not only an attitude of kindness and respect for all, but also whole-hearted engagement in meeting the needs of others. 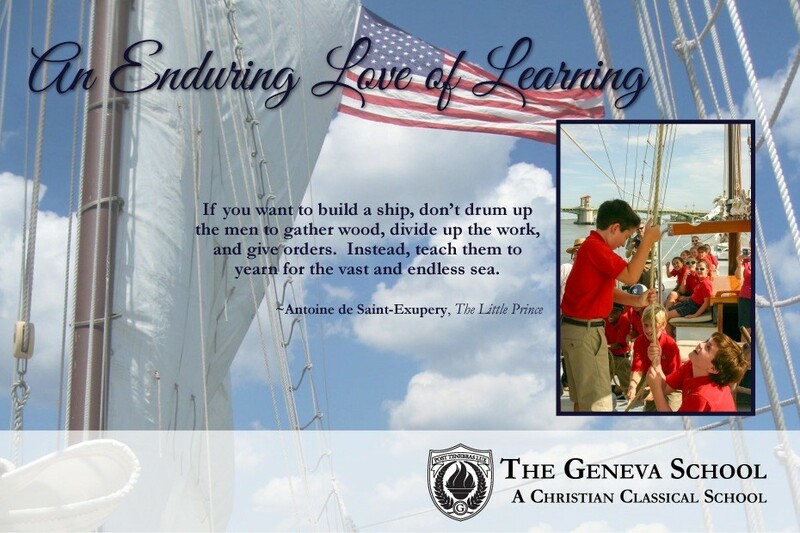 Aristotle has said that the primary aim of education is to teach the student “to like and dislike what he ought.” The Geneva School seeks to train our students to order their loves properly: to love the right things in the right proportion. Goodness, truth, and beauty are at the heart of this effort and are aids to becoming what God made us to be as human beings. These triadic virtues, however, will never satisfy the heart’s deepest and truest longings. They are not the treasure we were made for, rather, they are the treasure map that points us to the one who is the best, the truest, and the most beautiful of all, Jesus Christ himself. 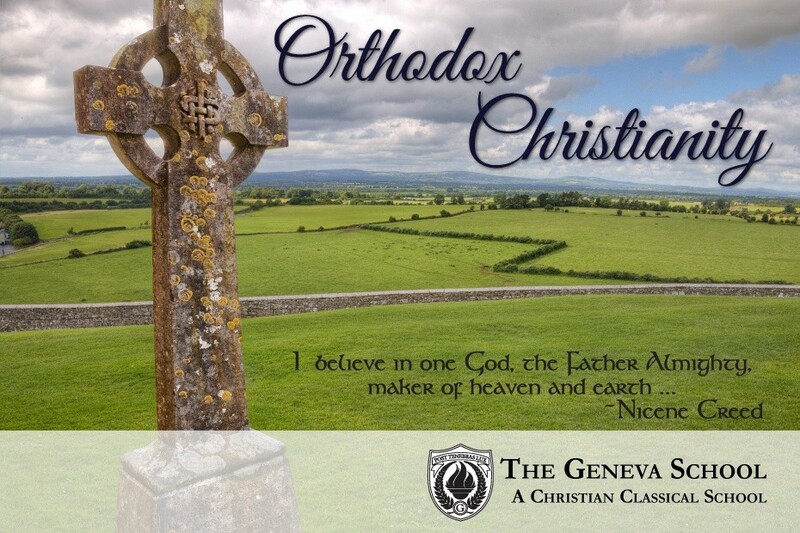 The Geneva School fully embraces historic Christianity as set forth in Holy Scripture, articulated in the ecumenical creeds of the early church, and recovered in the system of doctrine common in the creeds of the Protestant Reformation. In all of these expressions, the Christian faith is understood not merely as a set of beliefs and practices to be embraced but the central, guiding focus of our lives which is grounded in our relationship with God himself. Curiosity, amazement, awe … these are the experiences of wonder we desire to create and sustain in our students for the rest of their lives. One of the essential qualities of being human is being in community. We were made for it, we yearn for more of it, and we delight when we experience it fully. The art of conversation provides a pathway towards deeper community, so at The Geneva School we place a premium on dialogue with one another. 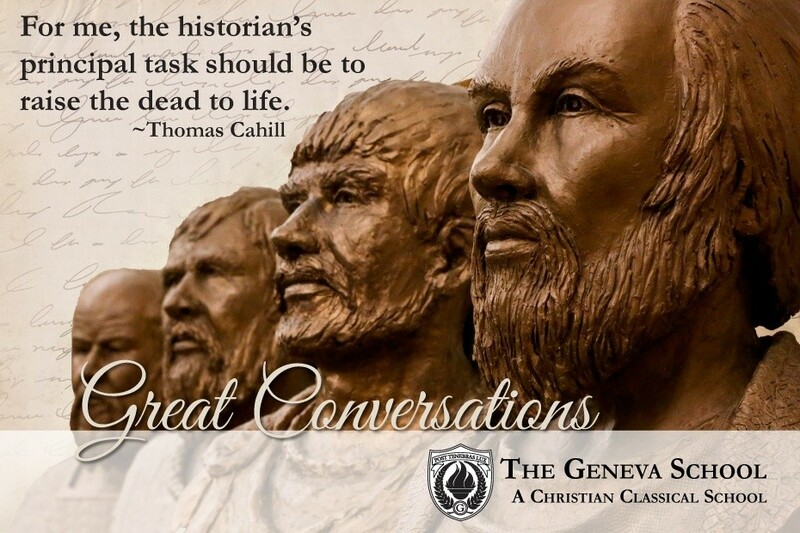 Whether a lunch discussion on micro-farming in urban settings, a classroom debate on the Reformation as a necessary tragedy, or students responding to Dante Alighieri’s journey through hell in Inferno, great conversations occur every day at The Geneva School. 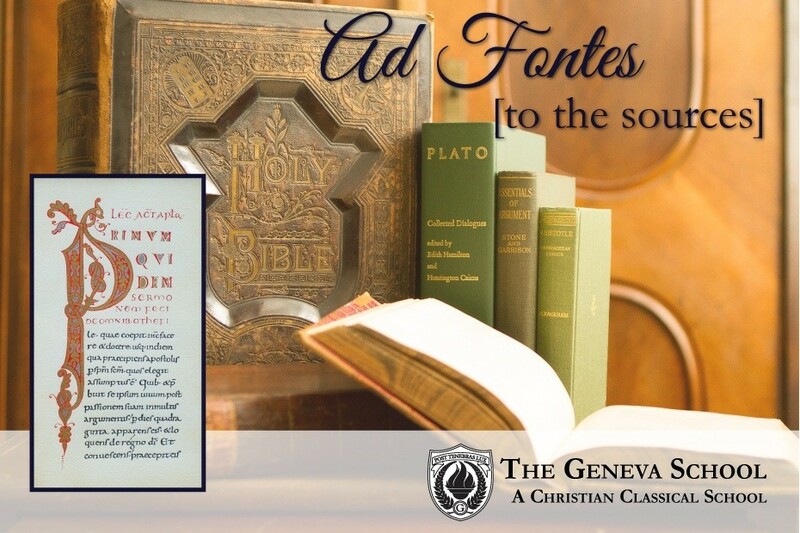 This Latin phrase, meaning “After Darkness, Light,” was adopted in the sixteenth century by the city of Geneva, Switzerland, as its motto, and it subsequently became the rallying cry of the entire Protestant Reformation. 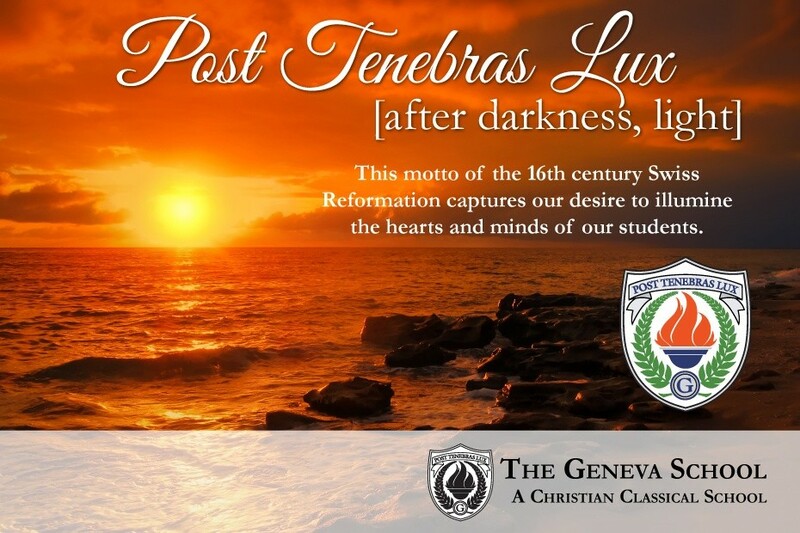 The founders of The Geneva School believed it to be an appropriate motto for the educational endeavor they were embarking upon in 1993. 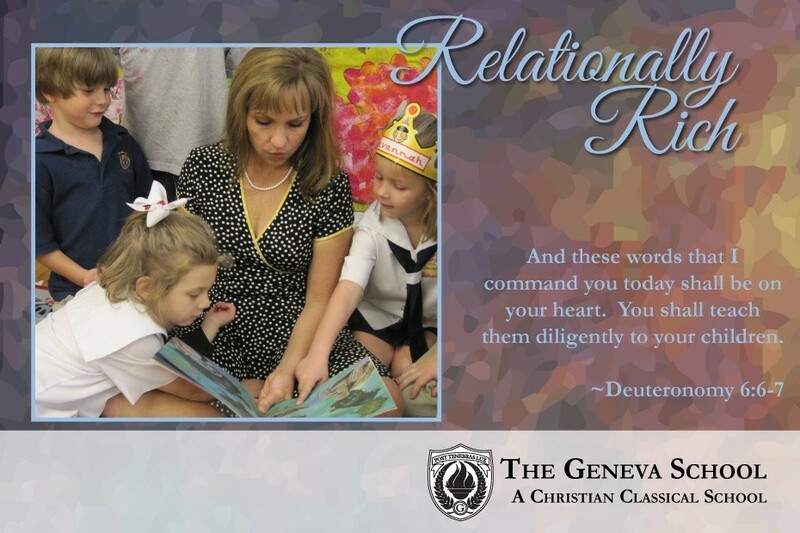 The Geneva School is a relationally rich learning community where teachers and students interact in and out of the classroom, parents delight in engaging their children and their teachers, and older students mentor younger ones. This oft-repeated phrase at Geneva has a double meaning: We strive both to instill in our students a love for learning that will last a lifetime and to prepare them for living faithful, godly lives once they leave our walls. Music is both technically and aesthetically beautiful, but more importantly, it is an outlet for the soul’s expression of delight and worship. 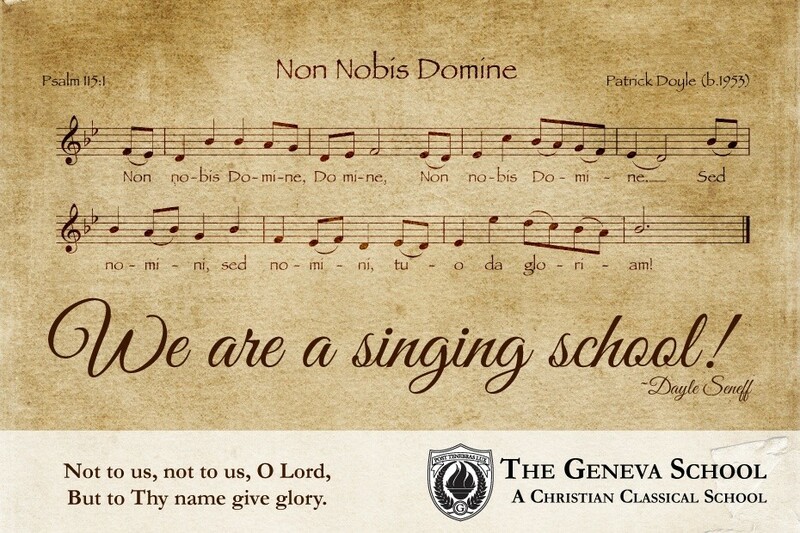 And so at The Geneva School, we sing! The future holds more possibilities when one understands and appreciates the successes and failures of the past. The scholarship of the Renaissance and Reformation was characterized by a return to Greek and Latin texts in order to discern accurately the original intent of writers and thinkers whose work became the foundation for Western civilization. 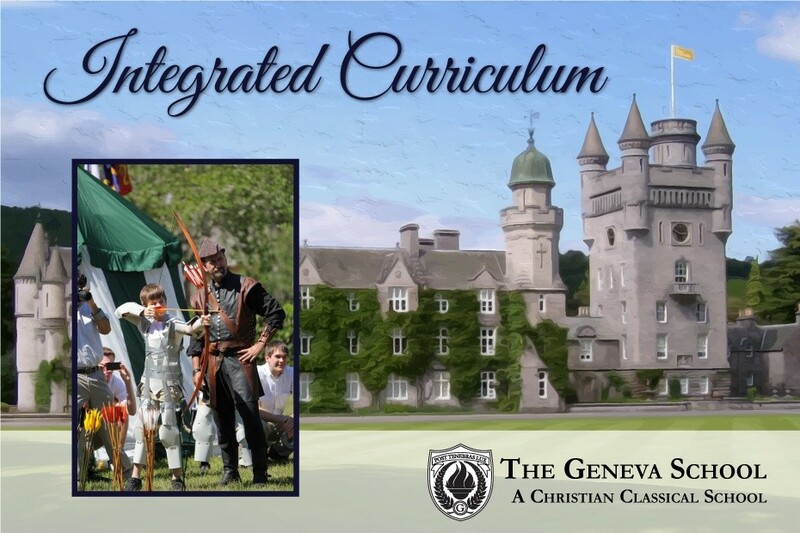 The Geneva School continues this long-standing academic principle by having our students read the foundational texts of any given area of study, such as the Old English poem Beowulf in fourth grade drama, Homer’s Illiad in seventh grade English, Pascal’s Pensées in eleventh grade science, and Virgil’s Aeneid in twelfth grade Latin. Although some attention is given to commentaries on great works, the primary emphasis is on reading and analyzing the actual texts themselves, thus helping students better understand our own time and place in history. Learning is action. Learning is tasting. Learning is fun. Learning is inviting. At The Geneva School teachers attempt to engage all of a student’s sensory gateways in the learning process. We literally desire to see our students see, hear, touch, and taste what they are studying. Third grade students climb inside a large wooden replica of the Trojan horse, which is then rolled into various classrooms where “soldiers” sneak out and take captives. Algebra students use the standard equation of a parbola to construct a solar cooker on which they then place a hot dog on the focus to see the reflective properties of the parabola steam the hot dog in the sun. Tenth grade English students reenact the banquet scene from Act III of Macbeth, where the ghost of Banquo appears, and then feast on medieval fare. Second graders learn how the ancient Egyptians mummified their kings by mummifying their own chicken, complete with salts and canopic jars. 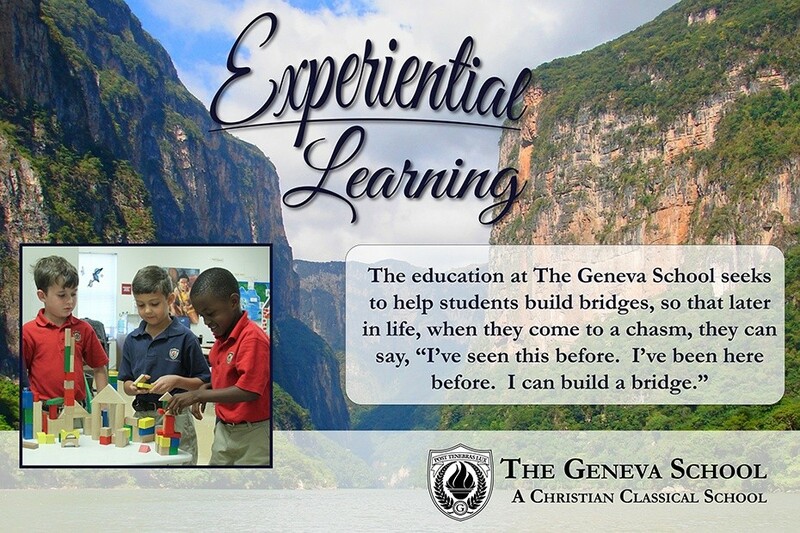 A day in the life of a Geneva student is chock full of active, experiential learning.